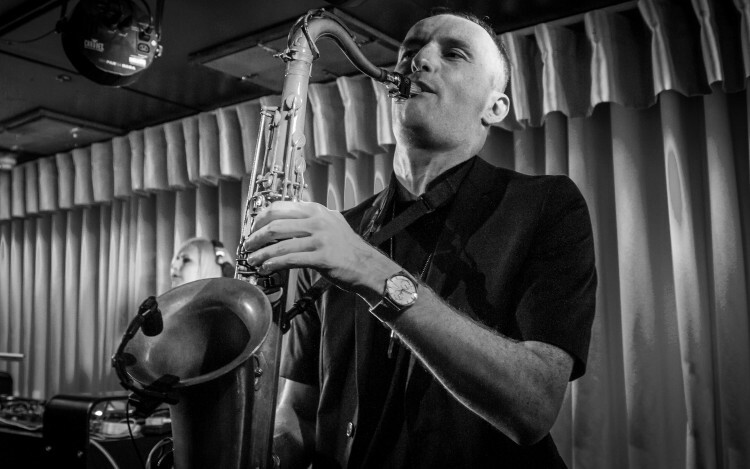 Tom Leaper is a professional saxophonist based in London. Since graduating from the Royal Academy of Music, Tom has been featured on BBC One’s “The Voice”, BBC Radio 6, BBC Radio 2, XFM and MTV to name a few. He has played as part of campaigns for fashion brands such as Hermes, Hackett and Lacoste, the official media launch of London 2012 even performed at Kensington Palace as part of the Royal Jubilee. No stranger to big live shows, Tom has played at festivals such as Latitude, Reading, Leeds, Stanton Calling, Shambala and In The Woods and played internationally for dance music titans Ministry of Sound and Head Kandi. Tom is also part of electro/pop outfit Benin City, who’s 2013 debut album has been received to acclaim (•••• Q Magazine), and will be releasing again in 2016.